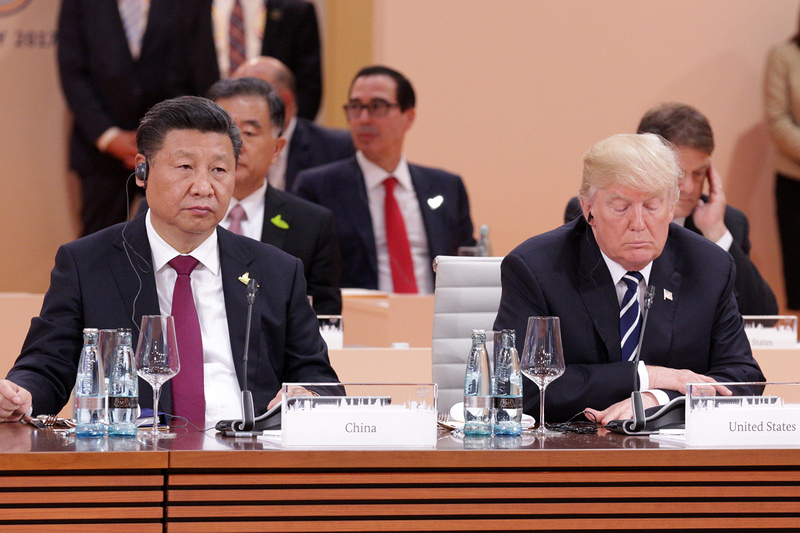 Chinese President Xi Jinping (left) and U.S. President Donald Trump at the first session of the G20 summit in Hamburg, Germany, July 7, 2017. Has the last half year of turbulent U.S.-China relations and Chinese politics passed you by? Confused you? Perhaps you’d like a clear recap in plain English? If yes, then this is the podcast episode for you. Susan Shirk is a professor at the School of Global Policy and Strategy at the University of California, San Diego, where she’s also the Chair of the 21st Century China Center. Susan served as Deputy Assistant Secretary of State for East Asia during the Clinton administration, and is the author of several influential books on China, including most notably China: Fragile Superpower. Stan Rosen is a professor of Political Science at the University of Southern California and a close observer of the interplay between culture and politics in China. He writes on subjects as varied as the Cultural Revolution, the Chinese legal system, public opinion, youth, gender, human rights, Sino-American relations, and film and the media. Kaiser spoke to them in front of a live studio audience, a notably not wonky group of teachers and China-curious folk at the 1990 Institute’s Teachers Workshop in San Mateo, California. Topics covered include how China has dealt with Trump, trade negotiations between the U.S. and China, Chinese soft power and Belt and Road, leadership transition in China, and the country’s push into Hollywood. Chinafornia newsletter, a free weekly roundup of U.S. state-level engagement with China.